Save big, give back, and be first to see major renovations. 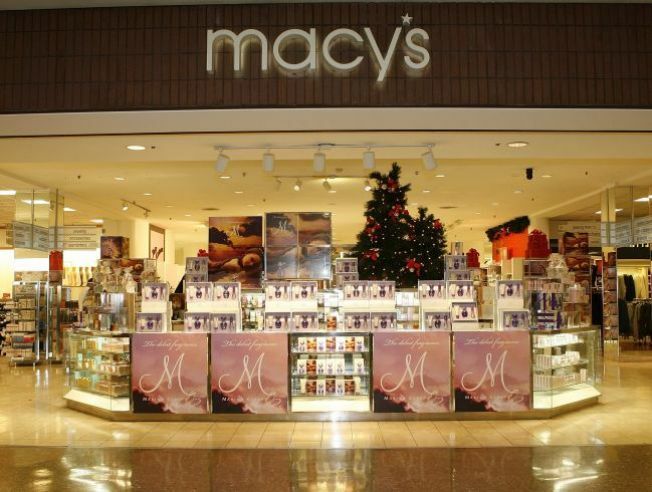 Macy's gets all gussied-up for its makeover unveiling this Saturday in Pasadena. Shoppers get discounts, the chance to give to charity, and lots of eye candy. Anxious holiday shoppers must have been wringing their hands at the dark doors of Macy's. Doing without the one-stop department dream could make for a frazzled season of jumping from boutique to boutique in desperate search of that perfect red Pashmina, those snugly fitting gloves. But just in the St. Nick of time, Macy's will re-open its Pasadena store this Saturday after a hiatus for major renovations. The $15 million face lift restores many of the classic touches from the original historic space. Get powdered, rouged and pampered in the now-fabulous makeup department, made all homey with hand-painted wallpaper. It's like having a personal stylist in your dressing room. Click-clack your heels on brick and tile floors, and warm your hands by the fireplaces. And -- hello -- the shoe salon has doubled in size. In keeping with the upgrade, Saturday's opening is no ho-hum affair. Macy's has joined with local non-profits to sell tickets to the event, with proceeds going to various charities as well as fueling in-store discounts. The math is simple: you save big, give big, and get to finish your Christmas list. Now that's the holiday spirit.